Stunning findings: Why is the universe structured so elegantly? 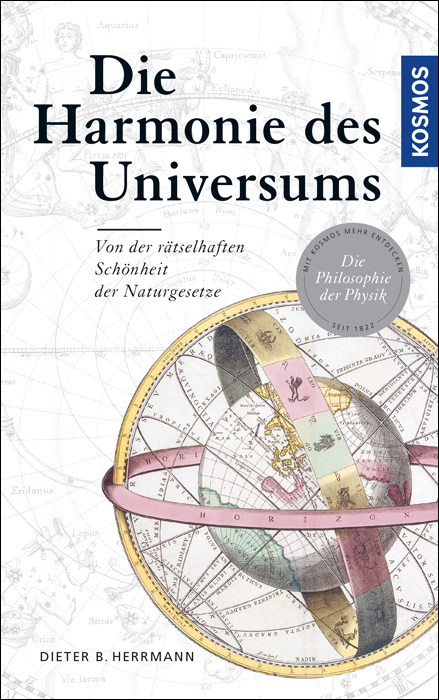 Product information "Die Harmonie des Universums"
From antiquity to modern particle physics, from Pythagoras to Einstein: again and again it has been shown that our universe is basically structured very simply. The well-known astronomy historian Prof. Dieter B. Herrmann tracks the stunning connection between harmony and truth in science, art and culture for the first time. A historical foray with controversial relevance and material for many pleasant hours of reading. Professor Dieter B. Hermann is director emeritus of the Archenhold observatory and the Zeiss large planetarium in Berlin. He is among the best-known astronomy authors in Germany, regularly gives lectures and is an expert consultant for astronomy trips.